Many studies and market analysis report a positive trend for the automotive industry, in terms of growth prospects and opportunities for the coming years, at least until 2025, despite substantial differences in the different geographical areas. Among the most relevant technological challenges are outlined the autonomous driving, connectivity and the electric mobility, all aspects that will an exponential growth of artificial intelligence in the car of the future, which will be increasingly able to provide services not strictly related to transport, but dedicated to infotainment and networking capabilities. These services range from the multimedia management of the smartphone and of the navigation system, to the usability of information related to tourism, traffic, entertainment, shopping and emergency. Naturally, the car manufacturers will also enhance the hazard warnings, as well as the focus on interior car safety. A survey carried out by McKinsey & Company, outlines that, with increasing production volumes, and with approximately 90 per cent of automotive innovation related to electronics and software, the OEM (Original Equipment Manufacturers) will be increasingly interested in building partnerships with their strategic suppliers, aiming to reduce the Research & Development costs, while developing and implementing new capabilities more quickly. The next stage is the functional testing of the product before it is completely assembled with all of its parts, including the mechanical ones. Here the aim is to assess the compliance of the product itself to the defined operational specifications. However, the advantage of carrying out this type of test at this point is the optimized accessibility to the circuit under examination, allowing better diagnosis of the known critical conditions. Finally the product is inserted into another test station, where it is subjected to a prolonged stress cycle in the real operating conditions of the device . This way it is possible to diagnose possible endemic problems or those categorized as “infant mortality”, that is, those which occur when the product is first subjected to real component strain. Given the typically long cycle times of this type of test, this may be applied on a “sample” basis, rather than the total number of devices manufactured. What makes the situation even more complex is the need to manage multiple variants of the same product, not only for different models of vehicle, but also based on the final market where the product is sold, in addition to the not less important requirement of complete traceability of all the stages of the process to enable fast intervention in the event of critical situations ( for example, a recall campaign). In order to reach the required 0ppm target it is necessary not only to address defects related to the assembly process implementing the aforementioned solutions, but also to reduce to a minimum the chance of human error by the operators working in the line. These so-called fool-proof solutions start, for example, by limiting the opportunity to insert the product on the wrong fixture (through appropriate mechanical constraints), then ensure the activation of the correct test program (based on barcode readers) sometimes arriving at the complete automation of the process using in-line systems. 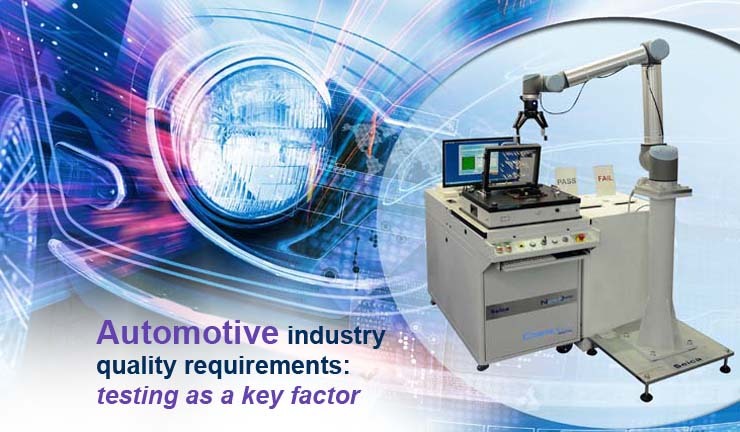 SEICA has consolidated experience in testing automotive electronics, including the following areas: Body controllers, Instrument clusters, Infotainment and Telematics systems and Lighting controllers. 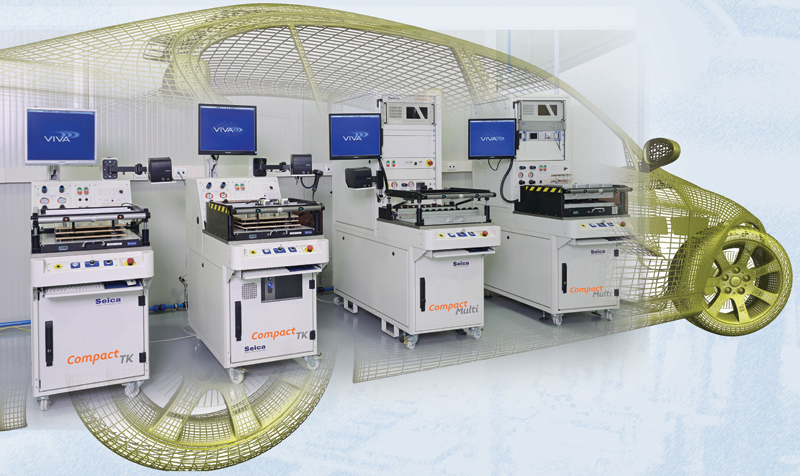 Based on a unique hardware and software platform common to all its products, Seica’s product portfolio covers all of the test levels required in a standard production line, from the simple in-circuit to the most complex end-of-line functional test. This architecture optimizes return on investment, ensuring that systems are readily interchangeable and training is optimized across different test steps, reducing to a minimum the need for specific operator know-how. The whole is of course completed by the integration of the basic technologies in automotive electronics, such as, for example the management of the most common communication protocols ranging from a standard CAN to the LIN and k-line serial interfaces. In addition, SEICA has developed and integrated solutions to verify the latest market technologies in the infotainment and Telematics fields, delivering multiple test applications. Radio channel (AM/FM, DAB, satellite tuners), GNSS (GPS and Glonass), wireless communication (GSM, UMTS, CDMA, ….) and data radio links (Wifi and Bluetooth) testing are now features available thanks to the integration of specific simulators and proper signal management (shielded cables, RF contact pins) at fixture level, which may include also fixtures with RF shielded solutions. 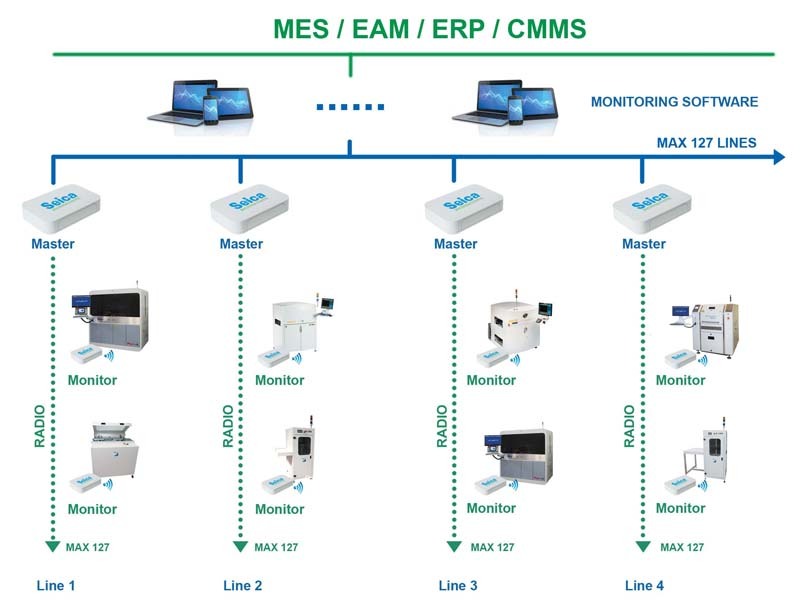 The Seica COMPACT product line includes a full range of solutions, from entry-level systems (Compact TK) even with enhanced digital capabilities or combinational testers with full integration of external instruments (Compact Multi). These systems are available in several different configurations including the fully automated, in-line version, (Compact SL) and independent, multi-fixture versions. 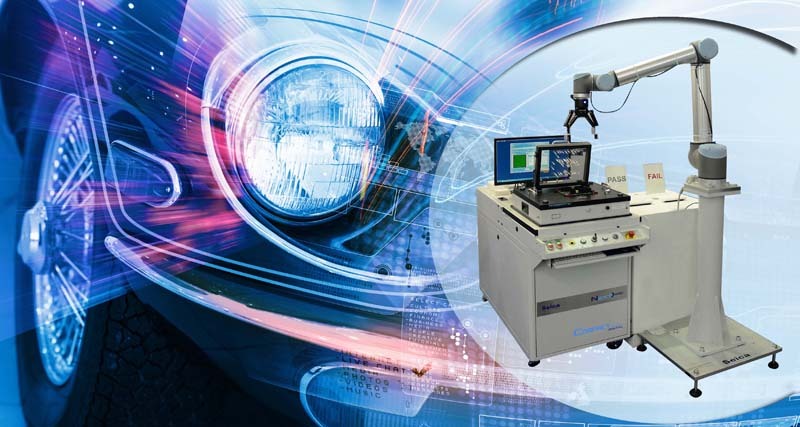 Seica’s PILOT Next> series line of flying probers complete the range of test solutions, providing in-circuit and complex functional test wherever a fixtureless solution is required or preferable, for example in a prototype or repair stage. The automotive industry perceived before others the need for a smart firma and today, in an historic moment of profound change, where the global industrial production is endorsing the concepts of Industry 4.0 philosophy, can obtain relevant benefits from the unfolding industrial revolution. Industrial monitoring means the collection of any information generated by the production systems; the monitoring of production lines is aimed to control, for example, the energy consumption of machinery to foresee in advance possible failures or abnormal operation, improving the management of maintenance in the production line itself, in order to optimize interventions that exceed the standard schedule, without affecting productivity. Seica has developed an industrial monitoring system for electronics industry, which facilitates the collection, interpretation and reading of big data. The communication between the constituent systems of the production line provides the line both with a self-diagnostics capability and with the remote control capability, which minimizes the time of intervention in case of an extraordinary event which could possibly affect negatively the throughput of the production line. The opportunity to manage ordinary and extraordinary maintenance anticipating a possible failure, enables the company to achieve a relevant financial saving, by minimizing the line downtime, optimizing the identification of faulty parts to be replaced, and the opportunity to prevent cascade failures arising from a root fault. Multiple lines will be able to interact within the same facility with a single data collection point, and multiple production plants can be mutually connected via WAN network, and all data collected by the master modules will be stored into a main server and made available for the users to provide the macro information required. 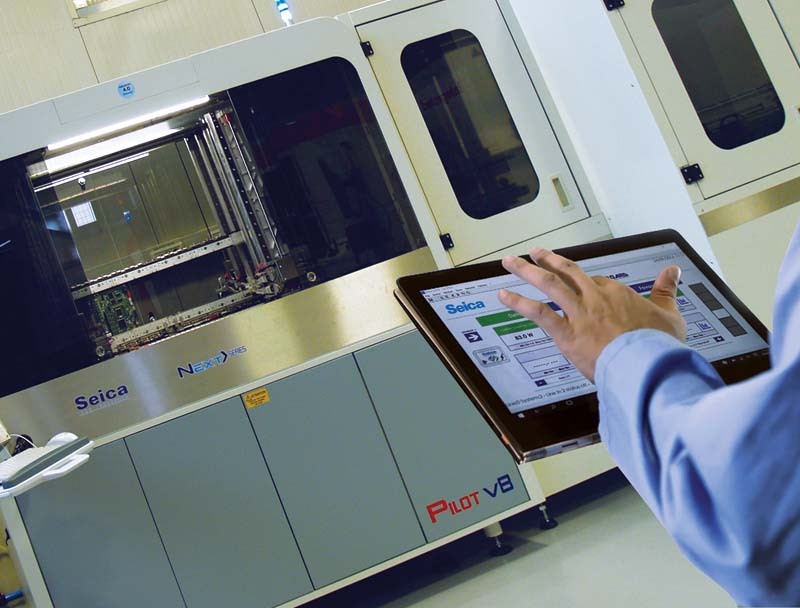 Different users from any part of the globe and connected via the Internet will be able to access the data for review, and processing purposes, and to take adequate measures following the interpretation of data, without prejudice to the fact that, following the guidelines of the Industry 4.0 protocols, the machines will be able to communicate and to “take decisions” against the occurrence of specific events. A company such as SEICA, active with decades of experience in the field of test in the most “challenging” and complex environments, may of course support its automotive partners on the back of its expertise in the different types of products, ranging from body computers, display panels, complex infotainment systems (i.e. radio-navigators and IT products) up to lamp testing, considered both the electronic parts as well as real LED verification. One of the most important characteristics to be considered in the selection of a partner for the activity of test, is the expertise acquired working in different electronics sectors, from the simplest product in the consumer world up to complex military systems. This “wide angle” exposure often makes it possible to spot and anticipate technical solutions and possibly market trends which may be transversal, and consequently can be applied to different customers and sectors. Certainly, the specific knowledge of the issues can lead to the optimization of manufacturing costs and integration of testers in production lines. In fact, very often the technologies being faced for the first time by the automotive world are already a consolidated reality in other industries. Think, for example, mobile phones and satellite localization modules. The same expertise can also be used in the initial stage of design and, above all, to optimize the definition of test specifications, which today represents one of the most time-consuming steps in the process. The multiple-year experience gained to Seica with relevant multinational realities, both Italian and International of the industry, has allowed to acquire the specific know-how of the automotive issues and to improve its offer of products and solutions to propose to the best not only as a supplier but, above all, as a partner in the research of testing solutions.